I am looking for something pet-friendly that will kill moss on a brick pathway and a wood deck. Used powdered Tide detergent one year, killed the moss but I'm afraid it might be bad for the dogs & cat or make the wood more slippery in the Seattle rain. Looked at the article on weed killers. Vinegar? Salt? Sugar? Cornmeal? No problem in the summer, but Seattle winter is Sept thru June. . . Thanks! Salt will do it, but the salt will also hurt any other plants in the area, as it will run off eventually. You may want to try bleach. 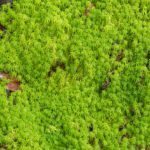 Bleach will kill the moss (and anything else it comes in contact with) but breaks down into harmless elements in about 12-24 hours. Boiling water is another option. Again, it will kill anything that it comes in contact with.